+ eight = eleven Required Please enter the correct value. Dow Jones Today, Sept. 2, 2014: The Dow Jones Industrial Average dipped 30 points Tuesday after a rash of geopolitical concerns hit markets and crude oil prices slipped to a 15-month low. Rising concerns in Pakistan, Iraq, and Ukraine outweighed positive news on the U.S. economy. According to reports released today, U.S. factory orders struck a near four-year high in August, while the housing industry saw construction spending increase by 1.8% in July. U.S. construction spending is now at a five-and-a-half-year high. Following the invasion of eastern Ukraine by Russian forces, the European Union announced plans to decide whether it will employ greater sanctions on the country. Merger Mania: The battle for Family Dollar Stores Inc. (NYSE: FDO) continued to sizzle this afternoon. This morning, rival Dollar General Corp. (NYSE: DG) increased its bid for Family Dollar to $80 per share, a 2% increase from its previous bid. 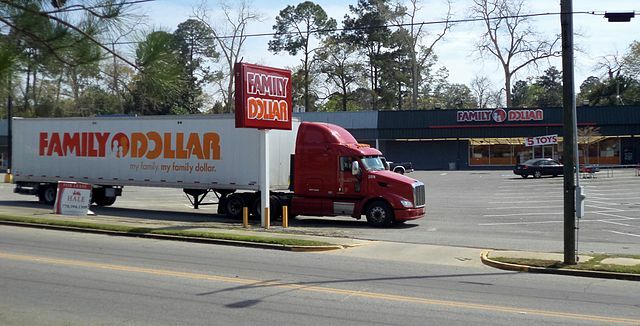 Family Dollar rejected a $9 billion bid from the company last month, choosing instead to accept an offer from Dollar Tree Inc. (Nasdaq: DLTR) worth $8.5 billion. Super Deal: Shares of Under Armour Inc. (NYSE: UA) were up more than 4% this afternoon on news that supermodel Gisele Bundchen has signed a deal to promote the company's successful women's clothing line. The news comes just days after the company lost out to Nike Inc. (NYSE: NKE) on a long-term deal to sign Oklahoma City Thunder forward Kevin Durant to an exclusive contract. Another Merger: Shares of Norwegian Cruise Line Holdings Ltd. (Nasdaq: NCLH) were up more than 11% on news the company planned to purchase Prestige Cruises International Inc., the parent company of Oceania Cruises and Regent Seven Seas Cruises. The cash and stock deal is valued at roughly $3.025 billion.